Thanksgiving was last Thursday (11/23) and I was able to take the next day (Black Friday) off. Yeah, to a four day weekend! Nadine and I had signed up for the ‘Turkey Burn’, a collaboration between “my” boot camp and a nearby cycling studio. The first 30 minutes we pushed through a very sweaty, awesome High Intensive Interval Training (H.I.I.T.) followed by a fast 30 minutes of spinning – for me the perfect start into the day. Every year hubby and I enjoy a nice quite Thanksgiving meal. So while I was gone hubby started prepping the turkey – it smelled already soo good when I arrived home. We both got a cold last week, so we decided to get some more meds at our local grocery store in the early evening. Next door is a Kohl’s store where you can get pretty much everything from clothing, shoes, toys, home décor, appliances and electronics. This store chain opened early for Black Friday – their doors opened on Thursday 5 pm until Saturday 12 am (crazy, huh?). Well, we happened to be there and simply thought the store would not be crowded …. boy where we wrong! We left the store the second we realized the ridiculous long lines. Hubby had to work on Friday and I couldn’t join him due to a delivery we expected. Unfortunately the delivery didn’t happen before 2 pm. However, I used my time wisely and was able to do a lot around the house. After I received ETA for the expected delivery I was able to join Herbert on his last doggie walk of the day. It was hot – temperatures above 90 degrees at November 23rd…. geez. I know, a lot of people think these are the normal temperatures for Southern California. Fact is our average temperatures are between mid seventies to low eighties and we can get some pretty chilly months during winter. Back home hubby started working on his new van. It’s a bigger van – which he clearly is in need off, his business just keeps growing (no complaining here!). Cargo vans usually don’t come with an A/C installed in the cargo area. Therefore we decided to go with a passenger vehicle. This way we don’t have to deal with installing an A/C again. But this comes with a tradeoff – we had to remove all the seats and store them in our garage. Later hubby worked on how to arrange the cages best in the van. It most likely will be just a temporary arrangement. Hubby likes to try stuff out to see how it works or how it might work better for him – so from my experience I’d say he is going to rearrange the inside of the cargo area at least two more times. In the pictures below you see that the new car has no wrapping yet – no worry, it is going to happen in the near future. We are still in possession of the “old van”, but just for a couple more days. 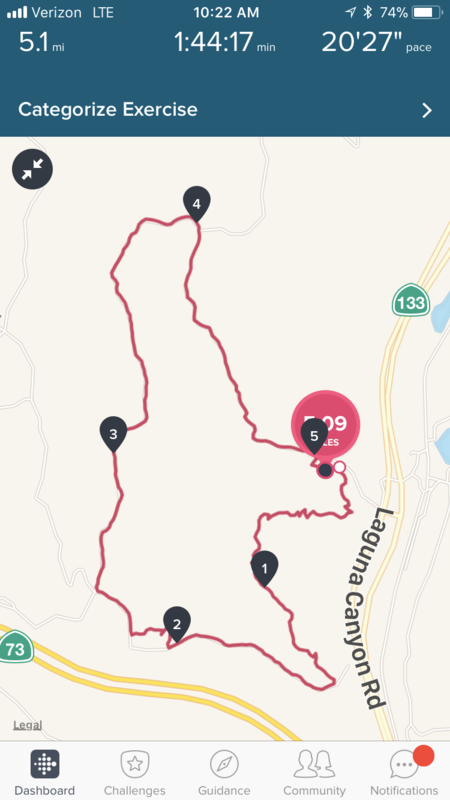 On Sunday morning I went on a 5.1 mile hike with Nadine and Kellie. The weather had all of the sudden changed and it was quite chilly and very foggy during the hike. Anyhow, we still had fun. Afterwards we stopped at Starbucks for a coffee and some more chit chat time. Back home I got my food prepped for the coming work week while hubby worked a bit more on the business van. The afternoon was just for us to relax and enjoy each others company. We decided to take a stroll in Huntington Beach – it was still a bit foggy but the sun was fighting hard to come out. And that was our my long weekend ….. hope you had a good one yourself!